Energy Efficient - eCars - Now! 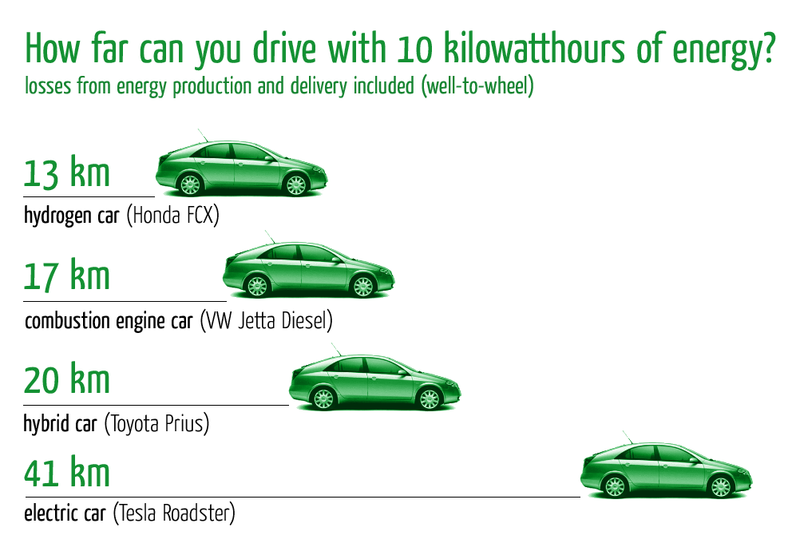 Electric car technology is superior to other automotive technologies when compared in energy economy. 95% operating efficiency of an electric motor leaves the fuel engines far behind, as they waste 70-80 % of the energy as heat and wearing out the parts. Total operating efficiency (well-to-wheel) tells how much of the originally produced energy can be used as the motive force of the car. Calculating that includes all the expenses and losses involved in energy production and distribution. Even in this kind of analysis the electric car is over two times more efficient than the others. Would you like to know more about energy efficiency? Ulf Bossel: Does a Hydrogen Economy Make Sense?